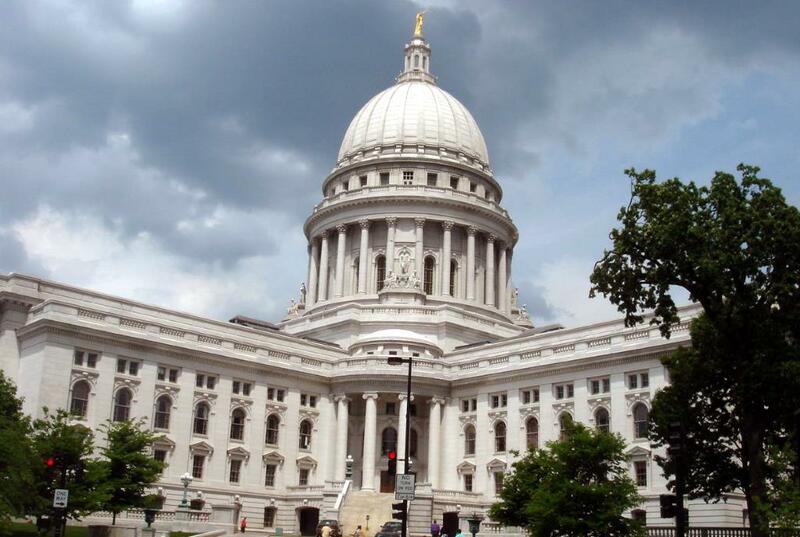 Wisconsin’s Risk Sharing Plan could provide model for a GOP replacement plan. As Washington Republicans – in the administration of soon-to-be President Donald Trump and in Congress – scramble to replace the Affordable Care Act (ACA), some Wisconsin officials offer this advice: Consider Wisconsin’s plan that has offered the state’s sickest residents health insurance for more than 30 years. Wisconsin’s Health Insurance Risk-Sharing Plan (HIRSP) helped those who could not buy health insurance because of pre-existing conditions, or who had lost health insurance that had been available through their employer. It was one of about 30 high-risk health insurance “pools” run by states. It was approved by a Democratic-controlled legislature and signed into law by Republican Gov. Lee Dreyfus in 1979. Wisconsin’s HIRSP “survived and thrived” as a national model before the ACA ended it, says Joe Kachelski, former chairman, vice chairman and member of the board that ran it. Now CEO of the Statewide Health Information Network Inc., Kachelski says Congress may consider high-risk pools “as an alternative mechanism” to the ACA’s requirement that individuals must be allowed to buy health insurance. “The advantage of a high-risk pool occurs when private insurance companies can deny coverage based on an individual’s pre-existing condition. As the ACA is repealed, this requirement would be as well. A Legislative Fiscal Bureau (LFB) summary said HIRSP had a record 21,770 enrollees in 2012. After that, HIRSP had no “reason to exist,” Kachelski notes, as Obamacare came into place. LFB reported that 94 percent of enrollees in 2012 got health insurance from one of five HIRSP plans, which varied greatly by deductibles and premiums. Enrollees could pick a “low-deductible, high-premium” or a “high-deductible, low-premium” plan – much like choices through the ACA. According to the LFB, individuals who qualified for HIRSP had maximum annual individual out-of-pocket costs that varied from $2,000 to $8,500 – out-of-pocket costs that would seem reasonable to some middle-class Americans today. Monthly HIRSP premiums also varied widely, depending on deductibles and premiums chosen. For example, monthly premiums for HIRSP plans ranged from $158 for someone under age 18 to $1,500 for a male over age 60, the LFB reported. And, HIRSP premiums went up or down by as much as 15 percent per year. And, like the ACA, coverage under HIRSP required subsidies for low-income participants – about one in four enrollees in 2012. Then, households with incomes of less than $34,000 qualified for subsidies. HIRSP differed from the ACA in one major way. It had a $2-million limit on medical costs for individuals; the ACA removed all coverage caps. Kachelski said HIRSP had to be reworked three times to survive. *Until the early-1990s, HIRSP “deficits soared” because politicians – the governor and Legislature – set rates annually. HIRSP then went to more a fiscally sound “actuarial process” that required premiums to pay 60 percent of costs and assessments on health insurers 40 percent. “No risk pool can function in the long term if the mechanism used to determine premium rates does not adequately account for program costs,” Kachelski warned. In the late-1990s, the funding formula had to be changed to 60 percent from premiums, 20 percent through assessments on health insurers, and 20 percent through discounts in reimbursements to providers. In 2005, HIRSP became a public authority, giving it more control over its future. “To the extent possible, a high-risk pool should be operated as an insurance company and not as a government program,” Kachelski adds. As Republican leaders in Washington write the nation’s health-care future, Wisconsin’s HIRSP could be a forerunner — or a footnote. Monthly premiums of $1500.00 for those age 60 +. $18,000.00 a year for premiums. The article doesn’t state what the deductible would be. This ” plan” is what the author of the article suggests could be used as a guide in replacing the ACA? Seriously? My husband was on HIRSP from about age 40 to 50 (when the program ended) and by then was paying nearly $1,000 a month with a $10,000 deductible. This article fails to mention that premiums were based on the plan holder’s age AND geographical location. So a 50-year-old man with the exact same health issues as my husband but who resides in Milwaukee’s poorest neighborhoods (i.e., perceived higher risk) paid more for health insurance through HIRSP than we did. HIRSP had its positives, though. I remember many years when we received a refund check when the pool had funds left. Those annual refund checks were almost invariably for $0.01 (yes, that’s one cent). Tell me that’s not a huge waste of time and money — it cost more to mail the blanking checks! The idea of HIRSP is a good one, but it’s not ideal. I was forced to apply to HIRSP years ago when my COBRA coverage period was ending and we were turned down for conventional insurance because of pre-existing conditions (in my case, hypertension completely controlled by proper meds, my husband, a misdiagnosis in the ER that was never removed from his medical records). We were told there were several thousand applications ahead of us on a waiting list because of inadequate funding and the waiting period would be at least one year. Fortunately, I was able to find another job with benefits before it bacame and life or death issue, but that was just pure luck. This is what Paul Ryan thinks of as the good old days and wants us to go back to? Thanks but no thanks. Luckily, after being forced to retire because of medical issues, I had a cobra plan to fall back on. Once my cobra benefits were eliminated through their sundown provision, I had V.A. health benefits that I qualified for. My wife, however, had nothing except HIRSP for her healthcare. She had previously endured a mastectomy due to cancer, soon followed by a hysterectomy, and two heart surgeries plus many related procedures. Without HIRSP she would be dead now. However, the high cost of this program totally ate up all of my 401k and IRA monies. If the affordable care act had not come along when it did, we would now be homeless. Save Obamacare!